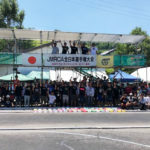 Kiyokazu Suzuki and Takayuki Kono attended the 2018 JMRCA Japanese National Championship to support drivers of Tamiya cars at the event, also taking the opportunity to race a prototype of the TA07 MS. 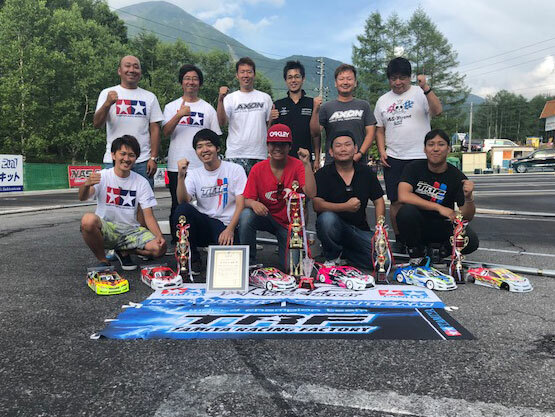 There was great news in the Open Class, as young speedster Takuma Sasaki and his TRF419XR took an imperious overall victory, following on from his wins in last year’s Sports Class and the Tamiya R/C World Championships. 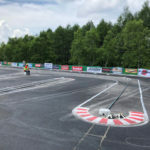 He was fast all weekend, with the top time in three of the six qualifying sessions and second fastest in two more, then putting the opposition in their place with victories in the first two rounds of the final. 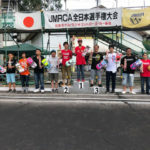 His victory was the first for a Tamiya car in this class at the JMRCA Japanese National Championship since 2012. 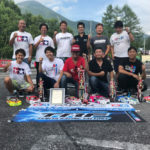 Fellow TRF419XR drivers Shuma Shinozawa and Masaaki Honda finished 5th and 6th overall respectively to cap a great weekend. 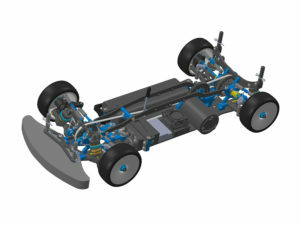 Kiyokazu Suzuki also competed in the Open Class, achieving 11th overall with a prototype of the new TA07 MS, while in the Super Expert Class, Shinya Shimazaki demonstrated the TRF419XR’s potential with a 9th place overall finish. 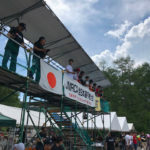 This entry was posted in Event Report on July 26, 2018 by admin.